Explore free resources to help you succeed. If your components aren’t properly maintained it will lead to poor performance. 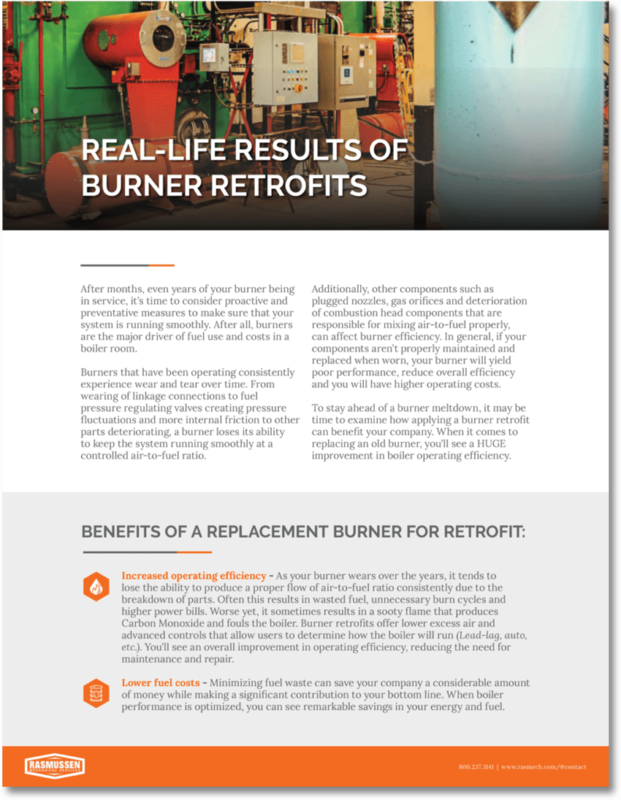 Download our guide on how burner retrofits can improve your efficiency. 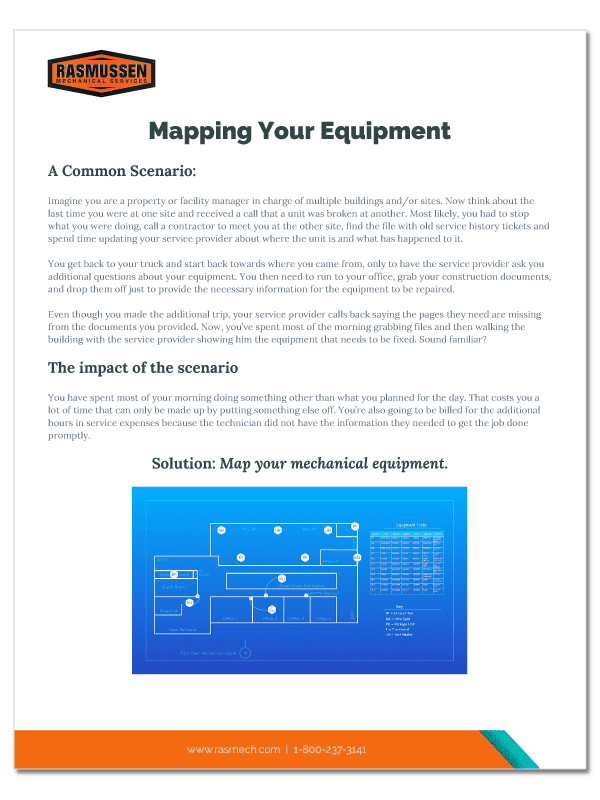 Mapping your mechanical equipment in your facility will not only save you time but also money. 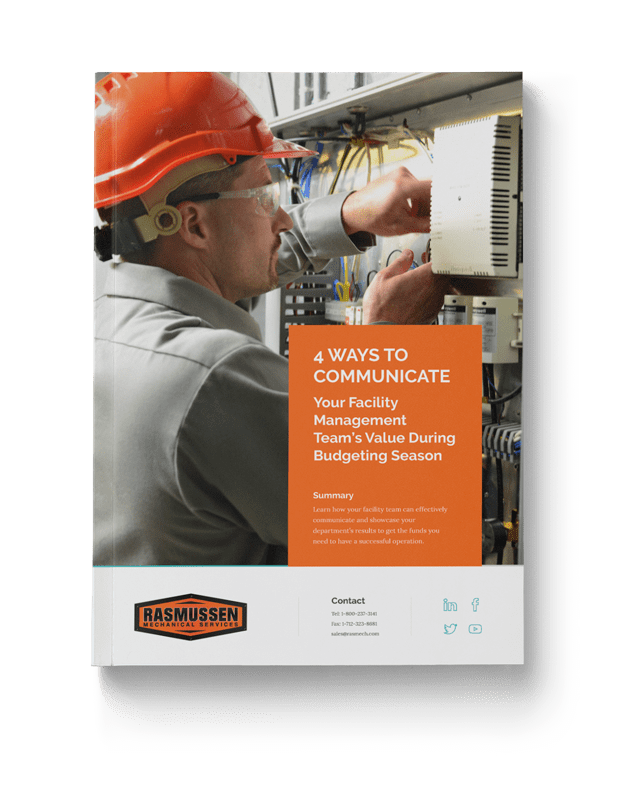 It allows you to give mechanical contractors the information they need to make decisions fast, which will lower repair costs. 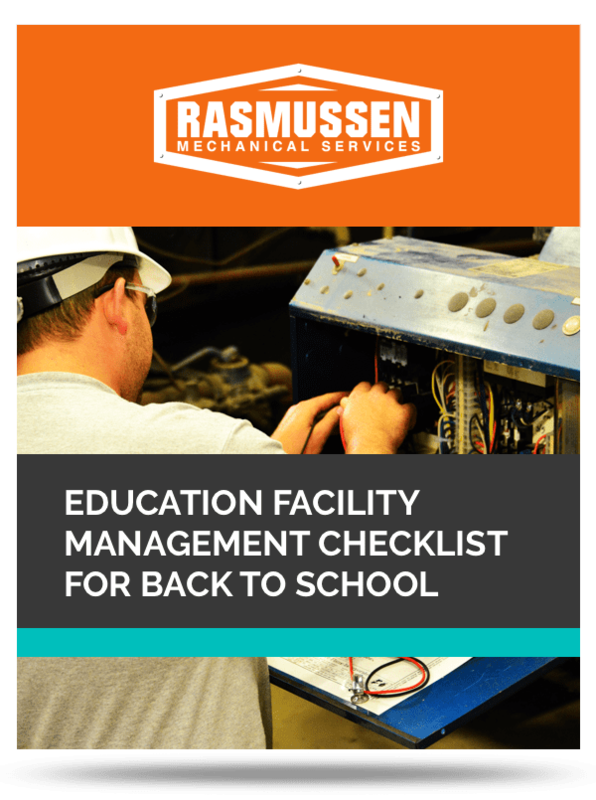 Download our checklist to get started on mapping your facility's equipment! With seasonal maintenance, you will increase your occupant's comfort level and reduce costs for repairs and consumed maintenance. Follow these quick tricks to ensure your facility is prepared for each season. 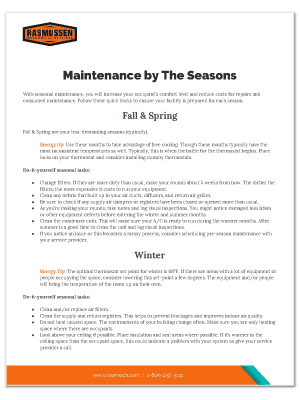 Download our Maintenance by the Seasons Checklist today! 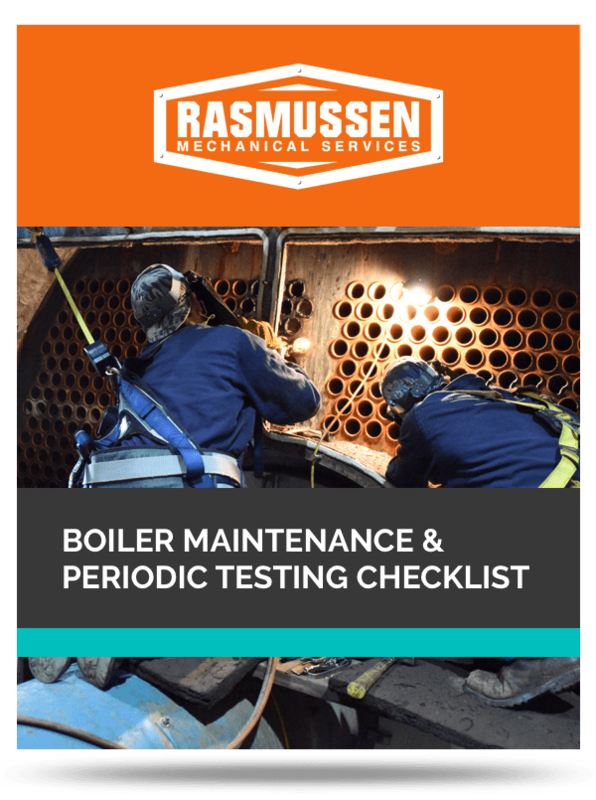 Download Rasmussen’s boiler maintenance checklist and logs to ensure your boiler is running efficiently. 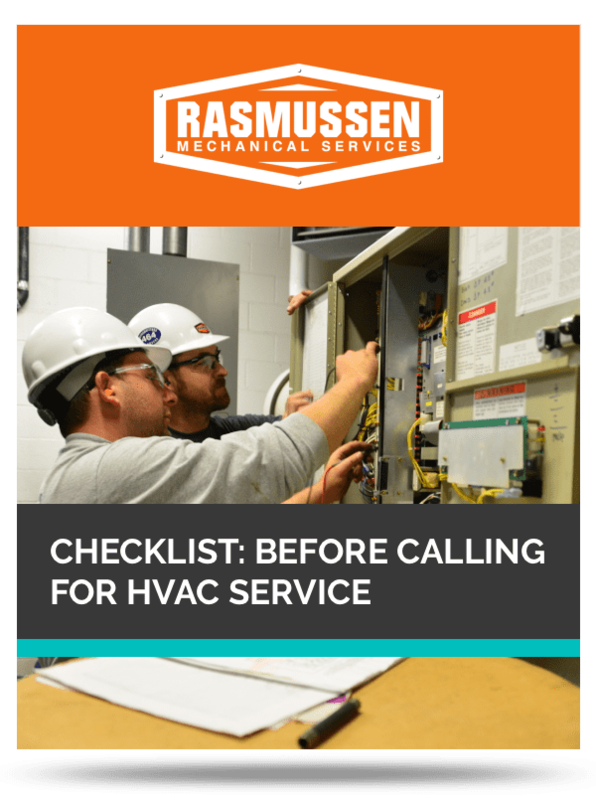 Often times, it’s much easier to call your trusted mechanical provider when an issue arises with your HVAC system. However, you might be able to get your system running again without a service provider. On average, HVAC equipment is known to use 25% of a commercial building’s total energy use. You have the opportunity to decrease your energy consumption with the help of a commercial HVAC technician. 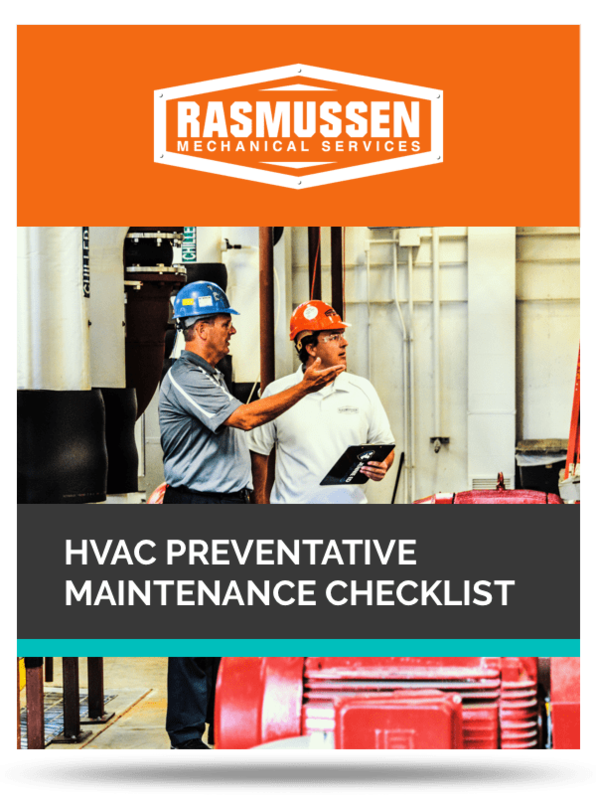 Use this checklist in tandem with a preventative maintenance program to ensure you don’t experience long delays in operations. 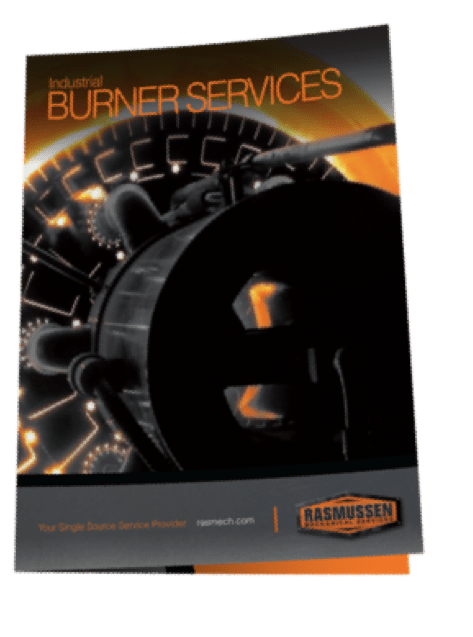 Download our brochure and get a better look at how our quality industrial burner services can prevent unplanned facility or process downtime.